Hey, there! I’m Brett Lockwood and over the past twenty years or so I’ve traveled to Canada numerous times for both business and pleasure. During that time, I’ve gained a deep appreciation for many aspects of Canadian culture and its people. For such a wonderful land, it’s peculiar to me that Canada is frequently off the radar screen by many people in the country immediately south of its border. So, these postings are a way to share my reflections on Canadian arts and culture and to spread greater awareness of what’s going on with our good neighbor up north. It also offers the incidental benefit of educating me (and others) further about a people and their places that I hold close to my heart. Professionally, I’m a business lawyer with Smith, Gambrell & Russell, LLP in Atlanta, focusing on technology matters, cybersecurity, business acquisitions and other business transactions. Photos on this site were taken by me, unless otherwise noted. I like your concept for your blog and I find it heart warming to hear of your love of Canada. Keep up the good work. Rob, thanks for the kind remarks. Your relocation to Canada intrigues me and I look forward to hearing more about that through your People of Calgary blog (which I’ve also added to my blogroll). COOL! Thanks Brett! I’ll keep an eye on yours too! I very much feel that too! Ditto. Canada is my favorite country in the world. Big love for its people — and places. Looking forward to following this blog. Kate, thanks. Yes, overall, Canada and its people are wonderful. Thank you for Liking my blog. Because of that, I discovered your blog. I feel Canadian although I live in Texas. My trips to St. Martins, New Brunwick take me “home”. Perhaps you are a fellow traveler. Mollie, thanks for sharing your intriguing drawings via your blog! St. Martins is a pretty area of New Brunswick. ah, yes I hear New Brunswick is nice, however I have never been :). Hey, Rob, New Brunswick has some glorious things to see (and great people too)! Great blog! This is Karen Magill from the Vancouver Vagabond (http://karen-magill.blogspot.com) and thank you for inviting me! It is nice to see such appreciation of Canadian culture by a neighbour. I am lucky to be a Canadian experiencing life on your side of the border. As an artist with a foot in both places I get to see first hand, what is different and what is similar. I see I have some reading as well. As a fellow fan of Canada, I appreciate your blog. In fact, I blogged about your blog. especially love the food section. Frank, thanks for the kind words. Food can be a telling part about culture — and both can be wonderful to sample. Thanks for your kind words. I agree that it’s fascinating to ponder how readers come across our writings. For my part, I let my curiosity, a few search terms and serendipity lead me to various “nooks and crannies” on the Web. Your site popped up in a search for writings on Canadian literature on WordPress. The fact that I used to be a teacher years ago and the thoughtful reflectiveness in your writing drew me in — and your site is quite nicely done by the way. Thanks for the ‘likes’ Brett. Hope you visit often. What a simply gorgeous picture in your header! Is it Cape Breton? Moe, I will definitely be checking back on your “Whatever Works” site. Yes, great guess on the pic on the header — it was taken by me at Capstick up near the tip of Cape Breton, which is an amazingly beautiful place. Wow – can’t beleive I got it right; it’s been 30 years since I was there. Spent a week in Mabou at that time . . . Your firm is it connected with Russell & DuMoulin now under Faskin? I know of the Fasken firm, which is well respected, but my firm is not connected to Russell & DuMoulin. Having altered my blinkered existence several years ago (knee-jerk little brother-ism), I have many compliments for your homeland as well (although never quite made it to Atlanta). Glad you enjoy our company and welcome! Thanks and I’m all for keeping the blinkers off. As for Canada, yes, I truly enjoy the place. In fact, tonight finds me here in Quebec City relaxing after a long day of driving the Quebec countryside along the magnificent St. Lawrance River. Amazing! Quebec City is one of my favourite cities in Canada. The history, the food, the people (esp the women). I could easily spend months in Old Quebec and come out with a hundred manuscripts and poems and probably tens of thousands of photos. Have a wonderful time! Hope the weather proves your friend. Thanks for liking my Blood on the Book piece, Brett- it’s much appreciated- Greetings from Scotland! thanks for hopping over to my wordpress earlier on. I love your blog and love to read the write up on Canada. It is one of the many places which I hope I can visit one day. cheers. Thank you for liking Heru’s Light Brett. I will be following your writings here. I recall my grandfather being disappointed that when he and my grandmother emigrated from Scotland they couldn’t get their first choice of Canada as it wasn’t accepting ex-service men and ‘families’, only single men. I have often wondered what life that would have meant for my mother, and indeed whether I would be here! I have been intrigued about the country and the place since, and know I have cousins there somewhere. I now live in my grandparents’ and mother’s lands of Scotland but through your blog I may get a taste of that ‘other land’. I look forward to it. Congrats — almost half way there and that’s more than most! Keep going! I hope you make it to Canada as well. Very good and interesting blog , that shows details from life in Canada . Anisja, thanks. Your photography is gorgeous, by the way. Hi Brett! Thanks for stopping by Candle & Quill – glad you liked it! Your site looks lovely – Canada is a beautiful country – I have fond memories of time spent there! I don’t think it would take much for me to fall in love with Canada, even when I know it can be really cold in winter and my blood pressure forbids me to even entertain the thought of such cold. Yet, Germany is not different. At least it hasn’t been this last winter. Jena, thanks for your kind words and your interesting remarks. In spite of its cold saesons, I hope you get to visit Canada at some point — there are many beautiful places throughout. Karolyne, thanks for your kind and poetic words — both in your message here and in your writings on Heru’s Light. I think you and I see the beauty that is in ourselves, in others and in the world in much the same way. Tim, your site is a moving testament to the valor of both your grandfather and his comrades in arms. The tragedy of World War I is often overshadowed by the slightly more recent World War II, but WWI arguably was the more wrenching conflict for its time. Helping all of us to remember that is important work and your site serves that cause well. Cheers Brett. My site started as an interest, then research and then a book, but I didn’t look to make profit from this subject. WordPress and the like will really help commemorate the centenary with data that is freely available to the world. this blog looks interesting to me,I know virtually nothing of Canada, so will enjoy the trip!! Thanks for visiting my blog too! Thanks. Love your artwork and musings. thanks for liking my post on Nova Scotia. I have enjoyed looking at your posts as well! Nova Scotia is one of my favorite places. Like your artwork and photography on your site. Just like you Brett I also am very fond of Canada and I cannot wait for my next trip up there. I like your blog a lot. Joe, thanks for your comments. On your “The Visual Chronicle” site you have quite a good eye for composition. Very nice pics. As an American who has also lived and worked in Canada, I certainly appreciate your insight. Thanks for visiting and LIKING my fun, too. I hope you’ll come back! Morgana, thanks and keep the fun going! Hey Brett, I am from the Detroit, Mi area and watched Hockey Night in Canada as well as other Canadian shows on the CBC and fell for Canadians long ago. I have been to Vancouve and Victoria in BC as well as Calgary and so enjoy engaging in conversation as the accent is wonderful! I agree Canada is overlooked by us and it is interesting to note that the media here barely mentions ANYTHING Canadian yet Canada follows its neighbor to the south, sad on us, eh? Thanks for your comments. Your being up in Detroit probably exposes you a little more to Canada’s culture just north of you. I’m not sure exactly whether its American insularity in general, the fact that our population in the States is so much bigger that it makes it easier to focus inward rather than outward, or some other reason. Whatever the case, I agree that there’s a lot that is interesting north of our borders. Thank you for stopping by my blog, I’m glad you like my articles about Alaska and the Klondike. I also love Canada. As a girl growing up my family spent many summers visiting Toronto, St. Catherines. Love the light houses, and all the waters. The people we met in Canada were all very warm and friendly. Jill, thanks. Both Alaska and the Klondike area are places on my must-see list. From your site, it looks like you’ve traveled far and wide. What a fabulous site – love the way you look at the world – your photos truly hit a sensory nerve – LOVE IT! And hey, thank you so much for stopping by my blog. You’ve reminded me that I’m now living in this wonderful province of British Columbia and you really do capture what one can easily begin to take for granted at times! Joanne, thanks. I can see from your site that you have traveled a great deal — wow! I think traveling and seeing new things is wonderful for perspective, and, along the lines of what you mention, is helpful as a reminder of many things that we all take for granted at times. Hi, and thanks so much for visiting my blog and adding a ‘like.’ I’m fascinated with your own blog — first, for your interest in this almost-not-quite-the-same country next to your own, but also for so many of your interests that overlap with mine, e.g. Montreal (my home town) & Quebec City, street art, our west coast including Haida Gwaii) and even bicycles! Hey, Penny, thanks for your comments and you’re a long way from home, by the way. I’ve visited your blog before and I like the quirky twist you’ve taken by focusing on sharing your walking encounters. A comment of yours also stuck with me about turning down blog awards, which I respected, understood and agreed with. As for Canada, its culture, as you mention, is very similar to that here in the States, but is noticeably more relaxed and the country as a whole is much less developed, which for me is a positive in terms of what’s most important. And, of course, in life there is so much (including people and their varied takes on life) about which to be curious and fascinated. Remaining curious is the great secret, is it not? And the older we get, the more important it is. Thanks for the comment. Thanks for stopping by my blog Brett! I am very happy because I stumbled on your great blog about your beautiful country. Thank you for visiting my blog! Oh, excuse me. I’ve got it wrong, because you have lots of photos from Canada. Anyway, I will continue to visit your blog, with pleasure. Thanks from us Canadians for your blog… 🙂 I really like the picture you used for the header. Sharon, thanks for your nice comments. I really like your photos and the way they’re showcased on your site. The header photo is of Capstick, a small village up at the tip of Cape Breton, one of my favorite places in Atlantic Canada. Being in New Brusnwick, you’re right in the middle of similar amazing beauty. The Maritimes is a beautiful place. I think one of my favorite areas would be “Peggy’s Cove” in Nova Scotia. Agreed and Peggy’s Cove is another wonderfully scenic area. and you live south of us Why??? Love this blog Brett…so many interesting ways to look at what is here. Laurie, thanks for your comments. I ask myself your question a lot, which is partly why I write and learn more about Canada. While there are many great choices of location in your wonderful country, my heart seems drawn more to Atlantic Canada than elsewhere. Your artwork is quite gorgeous, by the way, and I love your subject matter. What a marvelous concept, and welcome insights! As one who grew up a couple of hours’ drive from the BC border in Seattle and then a part-time Canadian for a dozen years while my husband conducted Pro Coro Canada (professional choir in Edmonton), I too cherish any time spent north of the border. I’ll enjoy reading your posts and learning more about our great neighbors! Awesome blog, I like the way you captured the photos. I remember how friendly and welcoming people in BC were on my kayaking trip. I could live there. Meade, agreed. I’ve always found the people in B.C. and other parts of Canada to be very friendly. Hey, Sarah, thanks for your comments. I look forward to learning more about the true North through your site. Great quote from Emily Carr. Thanks for visiting my blog today and for the “like”! We love Canada and have vacationed in Victoria, BC, Banff and Jasper in Alberta, and the magical Quebec with its French flavor. It looks like photography is a nice break from the law business. Marian, those are all wonderful places. Yes, photography is a relaxing and creative pastime. You make me want to return the favour. I have lived in the United States and loved it. While traveling in the States – I’ve had so many great experiences. I think that people who have never had the opportunity to live in the US or sit down and converse with an American, can get very critical from all the bad press. I am Canadian and of course love my country and people. All countries suffer from bad political and environmental reps. All countries [the planet really] offer such breathtaking places and the people are always very interesting. I am very pleased you love our country and people. Thanks and I very much agree with your observations. Good evening Brett, thank you for visiting my blog! Luana, you have some wonderful images on your site. Thank you for “liking” my post. I agree completely, that there is much about Canada that is wonderful (and little known and appreciated). Also glad to see that you had a nice visit recently to Nova Scotia. All the best. Thanks and I look forward to visiting again. It would seem that in your visits to Canada, you missed one of the key cultural cornerstones that Canadians hold dear. You see, the Canadian identity is grounded squarely in being smug about not being American. Then we frantically clamor to ape your culture and policies. We’re a sad people really. Nice photos on your blog though. Thanks for these comments and I hope the move to Yellowknife is suiting you well. It’s interesting how close our two cultures are and for which there are many reasons. Cultural “insecurities” of the kind you mention are ones I’ve read about and heard mention of from some of my Canadian friends, but almost always with goodwill and a sense of not taking themselves too seriously. I respect that and realize that most societies have their quirks for good or for bad and that’s an essential part of what is worth paying attention to. Written with carefully crafted diplomacy. It seems you might really be a lawyer, and not just play one on the Internet. NT, that’s funny and very perceptive. What a great find – thanks for the like, and looking forward to future posts! Many thanks for the like on my Canada Day post. Next time you’re up this way, let’s do a beer! Happy Canada Day and look forward to seeing more of the cool Doc and Raider creativity. Thanks for your love of Canada, and to share it! good work. Thanks for your comments. I just visited your site. I love the way you show the reference images that inspire your pieces and the video progression is a nice touch as well. Bravo! Thanks it is highly appreciated! it is quite a bit of work but I think it is worth it. Brenda, yes, you two seem to be having a great time. And the Canadian part of your adventure has started in the gorgeous maritime provinces. I’m both jealous and happy for you. Hope the good times keep rolling and look forward to staying abreast of your travels. Hey, Allan, thanks. Keep the good stuff coming yourself on Modes of Flight. Hi Brett. Thanks for checking out my recent post about B.C. I see we are fellow Atlantans. When we mentioned being from Atlanta, a number of Canadians commented about not seeing very many Southerners in that neck of the woods, especially the farther north we went on Vancouver Island. We loved B.C. and definitely want to go back with our children. I like your blog very much and your photography is beautiful. I look forward to reading more of your posts. Cheers. Chris, glad to see we both have a good appreciation for our northern neighbor. British Columbia is beautiful and given the crazy heat this time of the year in Atlanta this would be a great time to be way up north. Glad to see that we’re both connected to Atlanta, which I’m not sure I realized when I saw mention of your B.C. trip. Love the quotes on your posts! Interesting blog idea – I assure you that we Canadians are flattered! Looking forward to reading you. Hey Shipwrekkt, thanks. I’m glad to learn of your “Eat This Town” blog — will come in handy next time I’m back in Nova Scotia. You’ve a beautiful blog here. Thanks for dispelling the many misconceptions about your neighbour to the north, much better and more effective than we touting our own horn. Fact is… we are not inclined to do that. 😉 Thanks for visiting Ripple Effects… written right here in Calgary, Alberta. Thanks for the follow 🙂 I am enjoying your blog as well! I’m intrigued –one so seldom hears Americans with keen interest to blog often about Canada. Often it’s just visit for 1 shot. Or joke about Canada as an underling in the Western world. Great photos of your Nova Scotian trip this year. Jean, thanks. There is so much richness to be found in Canada’s spectacular natural environment and its wonderful culture, that I find it amazing that more of us below your border don’t have a greater appreciation for Canada. So this is my two cents worth to better inform folks and to learn some things myself along the way. Love the concept of your blog! As a Canuck it warms my heart. Hey, Kate, thanks! Yes, happy travels and I need many more! Thank you, Brett, for visiting my blog! I look forward to learning more about Canada. Weronika, thanks. You are so right! Thanks for the “likes”, I’m glad you stopped by my blog. As a Canadian, it warms my heart to see so much love from south of the border! Keep up the good work! Katie Marie, thanks for your kind comments. Thanks for liking my post. Your photos on Quebec City are terrific. Thanks for stopping by my blog and liking a post there. I’ve only been to Canada once, but I thought it was beautiful too. You have some really nice photos. Thank you for checking out my blog! Like I said, I’m new to Canada but so far I love it! I never doubted liking it here since I’m always open to new adventures! I’m originally from Japan and raised in California (father was an officer in the Navy and my mother is Japanese). The funny thing about me landing in Canada is my grandmother was French Canadian from Quebec! I enjoyed viewing your pictures! You did a great job and look forward to seeing more! I hope your transition to Canada continues to go well. You’re in B.C., which seems a nice compromise between California and your grandmother’s ties to Quebec. It sounds from your blog that you’re having an enjoyable adventure learning about your new location. Look forward to hearing more about that and good luck with your upcoming trip to Japan. Thanks for you kind comments on my photos as well. Sounds like you’re having fun — enjoy your adventures! Thank you for this morning’s post of the paintings of Michael Glover. There is a sense of place in these that surely must come from a painter’s need to look closely. Perhaps that’s why photographs of places I’ve returned to seem more coherent and calmer. Then again, maybe I just get lucky. Enjoy your blog. Thanks for your kind words. I like your observation about returning to places. Each new visit of even familiar places can bring new insights if we look closely. It’s funny, when I lived in Canada, I sort of took it all for granted I guess. I just assumed I would see more of my own country one day. I moved to Australia in 2001, and I have never yet been east of Manitoba. There is so much that I now wish I had seen and done. I am trying not to treat Australia the same way, and as a result I have been to every state. But I haven’t seen Uluru, or the Kimberley’s, or driven the Great Ocean Road, or been to Cairns…. I guess there’s something to be said for seeing the small stuff 🙂 Thanks for your wonderful blog! Through others, we can indeed see everything in the entire world! I think that’s probably right about each of us sometimes taking things and places for granted. Years ago when I lived in New York, there were many parts of both of New York City and the state that I never visited and ended up probably seeing more of the City and the state only years later as a visitor. It sounds like you’re having a great time taking advantage of your stay in Australia. I know the region is immense, but if I were in that part of the world I’d include parts of New Zealand on my hit list as well. Thanks for your kind comments and best wishes for continued good explorations. Thank you for the visit and the like of my Weekly Challenge post “Infinite”. That one is a terrific leading lines shot! Of course any Canadian will be flattered if any American takes interest in us. Thank you for your interest! There were 16 English colonies – 13 rebelled and three did not (New Brunswick, Nova Scotia, and Prince Edward Island.) Those three were settled with lots of New England planters long before the Revolution. “English Canada” thus pre-dates the Revolution – something many people with a passing interest in history don’t notice. Interesting how history can work. That’s an interesting piece of history for sure. The back and forth between the English and French and the English and colonists in early Canadian and American history is fascinating and makes for a lot of curious “what ifs”. My pleasure! Keep up the good adventures and exploration. Colleen, thanks. You’re pretty close to the border so not that far to travel. I hope you venture up there and have a great time. Thanks for stopping by my blog and liking my post. I enjoyed browsing your site, keep those beautiful pictures coming. Thanks! Really like your blog concept and irreverent take on things — keep that up as well! A really fabulous blog, I have badly wanted to visit Canada ever since my brother went and showed me the photos he took. Your blog just makes me want to go even more!! Nikki, thanks for your nice words. There are many amazing places to go up north! Hi Brett, just to let you know I posted your wonderful Haiku on my blog with one of my photos. Since I am so not techy, I was afraid I wouldn’t be able to pull it off…..but the link to your site works, so, yay!!!! Hope all is well and thank you again for the use of your wonderful Haiku!!!! I truly appreciate it! Sue, thanks. And, yes, you Canadians are indeed a good lot! The point you make about people coming together during the recent awful flooding in Calgary is a wonderful example of that spirit in the face of tremendous adversity. Continued good adventures to you. What an interesting idea for a blog. I am going to have to sit down and spend some time reading your posts. It is always interesting to hear other’s experiences of what we call “home”. Deb, thanks. Here south of the U.S.-Canada border there is much misinformation about Canada and its culture, and my blog is a small effort to dispel some of that. I’m sharing this with a friend who just returned from China. I love your premise that misconceptions can be addressed is refreshing! Thanks for doing so! Thanks. Similar to the mantra noted on the JMU website, I’m a big believer in the idea that each of us must be the change that we want to see in the world. My blog is a small part of that. Thank you for your like on my blog, Brett! Wonderful that you are blogging about Canada. I love those pictures of grain elevators in Saskatchewan. Brett….Great blog (and thank BTW for checking mine as well.) I travel to Montreal and Quebec City 4 – 5 times a year and find the civility of our northern neighbors refreshing. They remind me of the Danes. I hope you don´t mind me doing that! It is nice for the students to see that the world is not that big, after all! Lotta, thanks for your note. Your project sounds wonderful and I’m glad to have my blog linked on your Facebook page or elsewhere. I’m a big believer in fostering a sense of community and connectedness among people in small and large ways, all of which make important contributions to that end. We have a saying here that you may have heard, “Think globally, act locally”, which nicely captures part of this idea of how we should act within our various communities to make the world a better place. Thanks for stopping by my website! I am really enjoying your posts, the artwork you have highlighted, and your photography. I am originally from Rochester, NY, so Stratford, Niagra, and Toronto were frequented. I have always loved the quirkiness of Canada and its culture. Reading your posts, I was recalled to my solo train-trip to Montreal and the weekend I spent there using my French and exploring that wonderful city so many years ago–the train tracks ran along Lake Champlain and I loved how the water lapped the wheels as we edged north. Now I am in Seattle, and I have finally made it to Victoria, Tofino, and Vancouver. All delightful. Where next? I am enthralled with the East and West Kootenays and all the hot-springs I have read about, as well as the Canadian side of our Glacier National Park. I hope, someday, to make it to that place that looms large in my girlhood memories thanks to Anne of Green Gables–Prince Edward Island. I will look around your site to see if you have highlighted any of that area. Kathryn, thanks for your nice comments. It sounds like you’ve had some wonderful travels that also include some terrific Canadian memories — water lapping against train wheels sounds like quite an adventure! All the places you mention have much to recommend them. While I’ve been all over the Atlantic provinces of Canada and highly recommend that side of the country for its gorgeous ruggedness (and for which you’ll find some posts here), Prince Edward Island is the one Atlantic province that I’ve not yet made it to though I’ve come close. p.s. Love the vintage advertisements! Taishka, thanks! I have a little bit of everything Canadiana on here but mostly arts and culture bits and my photography. I like the positive outlook you project on your blog and agree with you about embracing the idea of being and living the change that we want to see in the world. Look forward to following your further thoughts. I’m brazilian but I have relatives in Canada. I visited the country just once, but it really is a beautiful place. Ah! Great blog! I am just now following it! Thank you for coming and visiting my blog, Life in Russia. When I read your “about” page and a few of your posts I realized you are doing what I’m doing with one minor difference. I’ve been looking for those who want to collaborate in sharing articles, I’ve have been working with several other bloggers and am continuing to look for more. If you are interested please let me know. Steve, your concept sounds very cool! Thanks for visiting my blog and liking my photo of Bude. I am now following you as I know absolutely nothing about Canada. Thanks! Your photography is very nice! Brett, I found my way here from a ‘Like’ you kindly added to my utterly newborn site, LifeformThree.com. I haven’t publicised it yet, so you are one of the very first people to see it – now you’ve added your mark I feel it really exists! Most interesting what you’re doing here, celebrating a naturally beautiful country. The novel my site was created for also celebrates the natural world, with a definite smattering of imaginative technology, so it feels very lucky that you found your way there. Nice to meet you! Roz, thanks. Writing is something I enjoy and I saw some things related to that on your site that caught my interest. Look forward to learning more about your insights. Elizabeth, thanks for your nice comments. I’ve been to Newfoundland for a couple of week-long trips but feel like I only scratched the surface. It’s such a beautiful province in every direction! I have a friend that lives in Grand Falls-Windsor, so I’ve been introduced to the “screech tradition”! Good luck wit your blog and your running. I do 10Ks regularly but a marathon is well beyond my level of body abuse, so I’m amazed when I see those who are able to endure such trials. Thank you Brett. I’m still learning how to do this and will draw inspiration from your lovely blog. Newfoundland is indeed a unique and beautiful oasis in a spectacular country. Ok, I’m a little biased, but it’s a beautiful place to live. I’m glad you’ve experienced first hand our culture, warmth and geographic diversity. All the best! Thanks for stopping by, and for the follow. I just realized you are from Atlanta! I have wonderful memories from a family vacation taken in Whistler and Vancouver a few years ago. I have been a fan of Canada ever since! Your photos jumped out at me partly because of the subject matter, some of which I recognized, but mainly because they’re quite good! I seem to fool a lot of folks who overlook that I’m here in Atlanta and think I’m either in Canada or from Canada. I’m just a fan of that country for many reasons. Susan, you’re right about that! Very nice blog. Hm, Canada? I have not been there in a while, maybe. . .
Well worth a visit anytime! Many thanks for visiting dragonshades and giving me the opportunity to discover O’Canada which truly is a fund of fascination. Thanks! Your dragonshades perspectives are quite interesting, by the way! Gail, thanks for your comments! Sounds like quite a trip back in the day — amazing how impressions from early incidents in life stick with us the way they do! I think that’s cool of you to do this. I wonder how many Canadian readers you have. Nice header pic. Cris, thanks! I’d guess that most weeks maybe more than the readers of my O’Canada blog are Canadian, followed closely by those in the U.S. The header pic is one I took in Capstick, which is up near the northeastern tip of Cape Breton and is one of my favorite places! Kathryn, thanks. There is much to see in Canada. I appreciate your kind words about my photos! Thanks for the like on my blog, Daytripper Sippers. I’m following here now and am going to have a very enjoyable read and wander through your photos. Cheers. I’d wanted just to thank you for liking that Ben Turpin video I’d posted. Hey, I’ve awarded you the “Sunshine Award”! Katja, thanks! That’s very nice of you! Thanks for the ‘like’ of I am a Cat; hope you’ll enjoy some of my other posts. Look out for an upcoming one on English tea, that includes my first experience of it a lifetime ago, in Victoria BC. I’ve “dipped into” Canada on both coasts, and here and there in the middle, have yet to do the trans-Canada trip on my bucket list. I see I can get a sense of what some parts of that might be like, reading you. Thanks for liking my last post. I really appreciate it. Can’t wait to start reading this. Great idea! I’m sure Canada loves you as much as you love it! We take pride in it being a very friendly place!! Thanks for the like Brett. I like your blog, it is a great concept. Looking forward to sitting with it a bit. Gus, thanks for your kind words! I am so glad you are writing about my home and native land! As a Canadian living in Chicago, I do find it interesting to hear the American perspective of Canada. Often it is most accurate; however, it can also be considerably skewed. I try to do my part to clarify when I can! I am going to add your blog link to mine. I know others will be so grateful to read your wonderful blog (as am I). Thank you, Brett! Thank you as well, Brett! Chicago is a wonderful city, isn’t it? Although I must confess that the tropical breezes offered by Maui might be a tad more inviting than the frosty air hovering over Lake Michigan this morning! I like the idea of an American’s views on us Canadians; I think our two perspectives are yin and yang; yes, it will be most interesting to compare and contrast our findings! Thank you again, Brett, and I am confident Atlanta will not find you searching for methods to relieve hypothermia any time soon! All the best, and I too look forward to reading more of your writings! The award involves posting 7 facts about yourself, awarding upto 15 other people and letting them know as well as thanking the person who awarded you and giving a link back to their blog. I hope you don’t mind and whether you join in the game or not is your choice. Thanks for liking my post and allowing me to find your blog, Brett! My family and I moved from the US and have been trying our best to process the differences and similarities of the two countries. Your blog is a godsend! Your blog is lovely. My husband is Canadian and we go ‘home’ each year, always with some dream of one day returning to live. Your photos from N.B. are fabulous. I’m very curious about the eastern provinces – just such a long road trip with the kids at this age! Thanks for finding us at Radical Farmwives. As you know I really enjoy your blog and have nominated you for The Dragon’s Loyalty Award. Thanks for the post like, Brett! 🙂 Your pix are great as well! I lived in Quebec for a brief period of time and enjoyed the culture and people. They are very warm. Quebecois may like to party a bit more.. Great memories. Beautiful pictures! A lawyer with a poetic soul interesting combo. Hello Brett, many thanks for Liking my blog entry, much appreciated. Interesting site you have and I look forward to spending more time on it also appreciating Canada, I’m with you there. Love it. A couple of excellent Canadian bloggers you might enjoy are andieduncan and seaangel4444. Worth a visit. Best wishes, Wolfie… and I’ve just spied on your page Cher from seaangel4444! Good stuff. Hi Brett, Thank you for stopping by my blog for now I know about yours, which I will very much enjoy following. I love visiting Canada and would love to live there! Thank you, sir, I appreciate that very much and rightbackatcha. Hi Brett, Thank you for reading my blog. I’m originally from north-east Ohio, and so many people traveled to Canada that we used to get Canadian pennies in our change all the time. My dad used to go on fishing trips to Canada, and almost every vacation my uncle and his wife had, they went to different parts of Canada. I’m going to subscribe to your blog as I enjoy the cartoons and photos very much. Patricia, thanks so much — those sound like nice memories. Brett, I love your blog! I must compliment you on your photography! Nice to see history thrown into the mix as well. I was surprised to learn that you’re south of our great shared border, quite a nice thing to see an American find a great deal to love about Canada. Thanks for reading my Canadiana posts as well. Cheers! Thanks for the Like, Brett! Keep doing those clever drawings! hey Brett, really glad you liked my post, I love your blog concept and your awareness for intercultural understanding, I look forward to incorporating some of your insights, feel free to forward me some Canadian art culture for my blog mixingcolorz! A brilliant idea for a blog! And greatly executed. Keep it coming! Hey Brett! Always thrilled to see a fellow Atlantan (transplant) here on the internets. Are you ready for the storm? I wonder what the Canadians would think of us 🙂 As a Michigander, I’ve always had a fascination with Canada – so will check your blog regularly. Hi Brett – thanks for the like on one of my graphic designs! I like what you’re doing here. Myself, I’ve been having an on-again-off-again-waiting to go again love affair with Vancouver and Victoria Canada for a number of years. Hi, Vicky, thanks so much! I’m from Idaho but now live in Nova Scotia (spent time on Vancouver Island and 8 years just outside of Calgary). I love Canada and just became a citizen. Great Blog. Hello , thank you for liking my post . I liked the cartoons on Canada. What a great site Brett! I am now following your site. I too love Canada. Thanks for your visit to ATSF in Roswell. Hey Brett, very unique to see some interest from an American cousin. A fascinating story is the building of the trans Canada railway. Originally, Canadian, James Jerome Hill was directing the project and called upon American, Cornelius Van Horne to assist him. J.J. Hill thought that the line should go across the USA border to avoid some muskeg, permafrost land in Canada. However, the American, Van Horne, insisted that it should be an all Canadian route, and the two men disagreed so sharply, that James Hill left the project, and went south of the border to forge the “Inland Empire” around the Great Northern Railway. Meanwhile, Van Horne completed the Canadian Pacific Railway. There were a number of railroad “wars” involving these two men as J.J. Hill attempted to take his GNR into Canada. So ironic and interesting. There is a book, McCullock’s Wonder (http://www.amazon.com/McCullochs-Wonder-Kettle-Valley-Railway/dp/1552854027 ), the story of the Kettle Valley Railway. My grandfather, Albin Nord, worked as a navvy on this railway from 1911 to 1916. Enjoying your perspective, thanks Brett! You betcha b’golly that’s what it’s all aboot eh? Hi Brett, we noticed you liked our recent post for the greeting card. We really appreciate it. We also appreciate your love of Canada which we plan to visit some day, and use your blog as a guide. Just wanted to tell a patriotic Canadian Congrats on your gold medal in women’s Hockey yesterday. The girls earned every goal! As long as the good fight was fought, true enough. Thank you for stopping by my little blog. I have never been to Canada, but would like to go someday; I bet all those pictures of their outdoors do it no real justice (and standing amid a grove of virgin white birch trees during an Ontario autumn afternoon is near the top of my bucket list). Thanks again, and I am now following O Canada! Lovely pictures on here! You are so lucky to have been to New Brunswick! I live in Canada and have been stuck in Quebec and Ontario ever since ha ha! I appreciate your comments on the pictures. New Brunswick has some beautiful places, but I’ve seen many gorgeous places in Quebec and Ontario as well. Very well done. Great photography, really like some of your shots. We’re slightly weird Canadians in our family, with relatives in 5 provinces, homes in Nova Scotia (love your cemetery posts, btw) & Ontario. Now, as a new owner of Florida rental condo, so much of our focus is the other way around from yours: trying to gain better understanding of our American cousins! Hope you’ll visit from time to time at vacationrentalsiestakey.wordpress.com and I’ll be sure to stop by your blog regularly as well. Many thanks for stopping by, reading and liking my blog. I hope you will visit again soon and often. Smiles. . . . . .
I’m very impressed with the art and photography you highlight on your site. I look forward to receiving your future posts. Thank you for loving Canada. Brett, thank you very much for mentioning my blog on your page. Thanks for liking my post. I may even get to Canada one day. That’s a nice testament to it being a small world! Anna, thanks. Your food looks great, by the way! My husband and I honeymooned in Canada – specifically Montreal. We stayed at the Hotel de’Champlain (may have changed hands since 1994). We visited so many gorgeous cathedrals and basilicas – all architecturally breathtaking. We even went to the Insectarium and that was most fascinating. Thanks for clicking around my blog today. I sprinted right over and did the same. Dang. Now, I’m going to have to follow you. Highly entertaining and beautiful images. Cheers! Hi Brett, thanks for stopping by Le Meadow’s Pantry. What a beautiful blog you have, I will be visiting again. Thanks for following my blog, Brett. As a native Minnesotan who probably mis-perceived Canada more completely than most, I look forward to being set straight! Currently I’m in the process of attempting to correctly perceive Bali, my new home. Culturally, geographically, politically, socially, energetically, it couldn’t be more different than the U.S. It’s a daily challenge not to assume I know anything at all about the people and their practices. The learning curve is steep, but it’s a delightful climb. Sherry, thanks and best wishes for your continuing exploration of Bali (and life, in general)! Hi Brett….I like your blog and agree that Canadian culture is worth checking out. I wish you well in your adventures and I’m glad to follow along. Hi Brett, thanks for checking out my post.. I recently read a book entitled Yankee Lady, about three couples who spent two summers cruising from CT up the Hudson, through Lake Champlain and then around the Gaspe Peninsula.. eventually ending up back in CT. One of the constant themes in the book is how pleasant the Canadian folks were along the way and, unfortunately, the striking difference they noticed upon re-entering US waters..
Brett, your photography is beautiful and gave me a wonderful sense of peace. Canada is very much on the list of places I HAVE to get to…..My research tells me it is an amazing, (if somewhat challenging), place for a long distance motorcycle ride, so that is my plan. Either next year or 2016. If I make it I will, of course, be posting photos. Stuart, keep taking those great pictures of yours! A trip across Canada or the States would be a great way to spend some time! Hi Brett, thanks for liking http://www.ventimigliaaltawords.com. I love the concept of your blog and the fabulous photos. It certainly makes me want to visit Canada one day. Stunning photography! What an interesting and inspiring blog! Hello Brett, nice to meet you and thanks for liking a post… traveling along to your blog I found beautiful photos and a lot of suggestions! Hi Brett, I have spent some time in Canada and appreciate the concept of your blog. In 1996 I spent a summer in Guelph, ON and Toronto, ON and took a road trip from NYC to Montreal in 2001. OK now I feel old! But, just wanted to share that I am also a Canada-file and will be checking out your posts. Thanks for visiting my blog. It is interesting what captures another’s imagination. I have visited Canada few times, and always loved the views and people. BUT, I am a Westerner who has visited Western Canada, and I noticed that you are an Easterner who writes more about Eastern Canada. I have seen drop-dead gorgeous pics of Eastern Canada, especially the coast, which I would really love to visit in person. Dear Brett L. , loved your photographs, they speak volumes! Thank you kindly for stopping by my site. Glad to find like-minded people. Best wishes! Thank you Brett for the like, and for your interesting blog – I’ll be back! Ross. So Canada is your art – very nice. thanks for checking out my blog! yours is great, love the photos. i look forward to seeing more. Thanks for dropping by and liking a post on geokult-travel.com. Your blog looks really interesting so am following. Brett, Glad you liked my post, ‘Photos galore…’ and thank you for letting me know; feedback is so encouraging. I especially like your posts/photographs re: Nova Scotia and particularly the Annapolis Valley where I used to live and to which I long to return (I wrote about living near Bear River in my book: ‘Transition…’. Love the small world coincidence of sorts! Thanks for liking my Earth Day post. Canada is such a beautiful country, I can see why you love it. Emma, thanks! Keep doing your wonderful paintings! Hi Brett, Thank you for liking my photo essay on Taranaki, New Zealand. I like your blog, it’s nice to see someone from the states showing an interest in Canada. I am now following you. Martin, thanks! You’ve visited some amazing places yourself! Thank you for this wonderful blog. I love the concept and am looking forward to future posts and catching up on some from the past. Just from a quick glance I get the feeling you know more about Canadian culture than many Canadians, myself included. What a lovely blog and photos. I am a Canadian living in Wales and I wonder if you would allow me to reproduce your image of the red tractor by the sea, with credit of course. I am attending a market in London where the theme is “maritime, going on a cruise” which is a long way from my little company’s tractor logo. I am a lavender farmer. I am going to try to decorate my stall with all I can find relating farming to the sea. Best wishes and look forward to hearing. Hope you are doing fine, I am here to thanks you that you liked one of my post at Dreams to Reality. I am so glad you liked my post so I am able to discover your blog. We live very close to the Canadian border and love to travel to Kingston for a “big city” fix without the too big city. The countryside in Canada reminds me of Maine – wild, rustic, and beautiful. We picked up our dog Mojo just outside of Kitchener and what struck me on that drive is the beauty of the farms and the brick farm houses! They are all neat as can be with wonderful flowers and not a broken down piece of farm equipment in sight – very unlike the majority of farms around here. I look forward to learning more. Hi Brett. My name is Aquil Virani and I’m a visual artist, designer and speaker based in Montreal, Quebec. I’m doing a project called Canada’s Self Portrait and I wanted to get in touch through email but couldn’t find your email address on the site. Do you mind sharing it with me? Looking forward to getting in touch. Thanks :: Aquil. (aquil.ca). Great blog! I look forward to visiting often and getting to know my country through your eyes. Brett–thank you so much for the like of my ‘offside memories.’ Your blog is wonderful and, working with a girl who is married to a Canadian, I can so appreciate your writings and your photos. Call me a follower! Thanks for visiting my blog. I browsed through yours and found it to be very interesting. I know very little about our neighbor up north so, you’re enlightening me on the beautiful country. Thanks Brett for liking my blog here2where. I lived in Canada for a couple of years quite some time ago and enjoyed it tremendously. Since on our recent trip we drove to Alaska, I’ll have more posts about Canada. Thanks, Susan, for sharing this. Thank you for liking my blog. I have lived in Canada since 1985 and am enjoying every minute of it. There is still so much to see and do. Haida Gwaii is still on my wish list as are the Northern Territories and many more places in between. Thanks so much! I still have some of those places on my wish list as well! Thanks Brett for giving us this wonderful blog about Canada. Truly Inspiring. Thanks too for liking my post. Best Regards. I’m glad for the mutual respect and appreciation! Thanks too for the link, which others may find interesting. Thanks for visiting my essay on Bob Dylan’s hometown. I love the photo at the top of this page. Great blog! Thanks and keep up the good things you’re doing! The photo is of a gorgeous place near the northern tip of Cape Breton. Lovely work, Brett, really lovely. I’m jealous of all the spots you’ve been to in Canada. Thanks also for visiting my blog. I look forward to staying in touch. John, thanks. Keep doing the good things that you do! Hello Brett. Thank you so much for visiting my blog. 😀 I like yours – because I just love Canada! Thank you for stopping by my photo blog. I am from New England and traveled to Canada many times growing up. I have enjoyed the time I have spent in various places in Canada. I look forward to your postings. Yes…the high tides, the ship building history, the lavender sunsets. The beauty. The simplicity. Hello! Your blog is lovely and I think you could help spread the word about the Center for Puppetry Arts’ upcoming August performance! In their first appearance at the Center, Mermaid Theatre of Nova Scotia brings some of Eric Carle’s beloved stories to life through the magic of blacklight and fanciful puppets. The Very Hungry Caterpillar eats an amazing variety of foods on his path to becoming a beautiful butterfly. High up in the sky, Little Cloud playfully transforms into various shapes: a sheep, an airplane, a shark, and more. The Mixed-Up Chameleon is bored with his life. In a trip to the zoo, he attempts to emulate the beautiful animals he sees before realizing that there is value in being his own unique self. You can watch the trailer and learn more at http://puppet.org/perform/veryhungrycaterpillar.shtml. I have also attached a couple photos from the production as well as a media advisory. These great Canadian artists will only be in Atlanta for a couple weeks (Aug. 5-17)! We hope that you will join us for this delightful show and spread the word to your readers and other networks. Thanks so much for visiting my Virginia Views blog Brett. My first and oldest best friend here in the U.S.A. was from Port Arthur, Ontario – now called Thunder Bay, so your interpretations and observations will be extra special as I follow you through your explorations of a favorite neighbor. Very nice! All those places you mention have their virtues. I hope you are able to explore each! I have been to Montreal and Toronto but have yet to go to Vancouver which I hope to do this December. Vancouver is terrific! I hope you have a great time! Thanks for liking my post, Brett. I’ll keep an eye on your blog. I might just visit Canada one day soon. Canada is so lovely and it’s nice to find an American who really appreciates it. I’ve been to Quebec City, Ottawa, and Banff National Park, but have yet to make it to Vancouver, Montreal, Toronto and many other places. Thanks for sharing your appreciation of our northern neighbors. Well, those places you’ve been to are special. Lots of good places still to explore! Hi Brett … Thanks so much for stopping by with a ‘like’ on my blog of ‘I do’ which weaves together a celebration of Prince Edward Island with the joy of our son’s wedding. Growing up in the Eastern Townships of Quebec, very near the Vermont, New Hampshire and Maine borders, I have always had a special appreciation for the New England States. Your blog is just lovely … we have many dear friends south of the border. It is touching to read your posts and to share a common desire to strengthen ties between good friends. I will be visiting your blog often, and hope your future visits to Canada will always include a warm welcome. Thanks so much! PEI and Quebec are both wonderful places! Just wanted to say thank you for taking the time to visit and follow my blog. Yours looks fascinating and I shall be returning soon. Thanks so much for the like on my blog. I love Canada too, and when I travel overseas Australia and Canada seems to have an affinity for one another. I’m going to enjoy exploring your blog. Beautiful photographs, would love to visit. Seems a spectacular place to see. I’m sure you’d find a lot to like! Thank you for stopping by my blog (randomstoryteller.com). I once traveled to Quebec and loved it, especially the small towns (great to practice French). Your pics are lovely. I look forward to reading more, as I hope to travel to Canada in 2015. Thank you for your visit and you comments on my photo. Also, thank you for reminding me of the beauty of the place where I am so fortunate to have been born. Sometimes we spend so much time dreaming of and longing for far off adventures (especially as a photographer) it is easy to overlook the beauty in our own back yard, which is pretty much where that photo was taken 🙂 I have a road trip through the southern US on my “to be photographed” short list. Thanks for visiting my blog! I’ve never been to Canada but I’d definitely like to one day. It looks an amazingly beautiful country! Natalie, I hope you do at some point as I think you’d find something there to like. Hi Brett. Thanks for your recent visit to my blog. Your feelings for Canada remind me of my feelings for Spain. I look forward to checking your blog regularly. Oh, yes — Spain is a gorgeous place! I see you visited my blog recently. I’m sorry you had to come in a snowstorm, but that is just what it is like sometimes here in Alberta. You certainly have collected an impressive amount of information about Canada and your photos are wonderful. It has been a pleasure to see Canada through your eyes. Hi, Margie, thanks for sharing that — pretty amazing weather for this time of year! I can’t get enough of these amazing pictures!!! Truly wonderful job here, sir. Thanks for liking my post “yarn flowers and wooden boxes” on morenafresca.wordpress.com. Come back and check out updates coming soon!! Hey Brett, thanks for liking my post! I’m looking forward to checking out your blog. A beautiful blog. I can tell you’re not Canadian though, as we don’t profess our national pride so openly like this (though we should!). I look forward to following. Thanks! And I agree that Canadians have much to be proud of! hi 🙂 ur blog surprised me. not only because it´s interesting but also is very well written. i’m planning to visit Canada next year and in your blog I’ve found a lot of interesting info. Thanks for the like on my blog post. It lead me to your blog and I’m glad it did. As a Canadian living in SW Virginia, I am thrilled by your affection for my country :-). I’m enjoying looking through your blog. Melissa, thanks! Keep doing your good things! Southwest Virginia, by the way, is a very pretty area of that state. Thanks and very good points! Thanks for finding me…and allowing me to find YOU! Your perspective is exciting, and I’m looking forward to reading more. I’m in the middle of my journey through BC and have just arrived in Sechelt from Courtenay. What an amazingly beautiful area of the world… Where are you now? Thanks for stopping by my blog. We’d love to go to Canada some day, particularly for the cities, so I’ll be reading! I keep forgetting you’re an Atlantan! I continue to enjoy your blog. Hello there, thanks for stopping by my blog and also for the like. Love your blog! As a born & raised Canadian currently living in Ottawa, I’m loving your unique perspective! We’ve always known we are special and now you have proven it, grrr takes an American to show us 🙂 You should spend more time in the diverse and beautiful Ottawa/Gatineau region. FYI, if you get a bit of a spike in hits today, I posted the link on my FB page! That’s a great set of links you offer. Art lovers in the United States should take a look at them. Thanks! I need to update soon some of the categories with additional sites and blog links I’ve come across. It is kind of you to introduce yourself to me. I love the premise of your blog, and everything I have seen is very good. Promoting Canada, imagine…….love it!! Jerome, thanks so much! I look forward to following the things happening in your part of Canada as well. I have not been to Canada yet but through the experience working with Canadian people, I have found Canadians easy to work together or hang out. Someday I want to visit Canada and I will learn about Canada and prepare for my future trip there through your posts. Hi, Shamrock, thanks for your comments and I hope you are able to visit Canada at some point. I think you will enjoy visiting! Most impressed on your blog on Canada. Rarely seen such a complete work on one country. My family has been living in Canada since 1662. It is a pleasure to read your entries. Thank you. Thanks so much for visiting the site and for your kind words. Your family’s longtime connection to Canada is quite impressive (and that’s a lot of history). I see you also have some interesting stories to share on your site. Very nice! Thanks for the Likes on my paintings. I also started a recent photo blog, at http:www.sharoneckhardtpics.wordpress.com. Hi Sumana, thanks for your kind comments. Keep doing the many good things that you’re doing as reflected in your Artsy Appetite blog. Thank you for your ‘like’ at zenpunkmusic.com, Brett. As a Canadian abroad, I’m glad to have found your blog; your observations and images are delightful. I look forward to further posts. Cheers! As a dual US/Canadian citizen and having been a resident of both countries, I’m happy to have found this blog through your like on my Haiku. Canada is a wonderful place to live and work. In fact, if I didn’t have family down here in Florida I would probably still be there. Please keep posting. Oh, and I love your photography! I tried to go dual when I first moved to Canada almost 40 years ago but the US rule at the tme was that i would have to give up my US citizenship so I just maintained a landed immigrant status for over 20 years. Then, as I was at the US Embassy in Ottawa to update my passport I mentioned it and was told that the law had changed and I could now retain my US citizenship and apply for Canadian as well. The Canadian government never minded one way or the other. So, I took the Canadian Citizenship test and now I’m a dual citizen. Brett, I wanted to take this opportunity to thank you for always giving the ‘thumbs-up’ to my own StruckByWanderlustBlog.wordpress.com. It is sincerely appreciated ! I think the topic of Canadian culture is an interesting topic – not shocking as I am Canadian. My perception has always been that Americans are so sure of who they are and how they define themselves, and relative to that, Canadian culture is kind of vague and non-descript. It’s not that we don’t know who we are, but perhaps that we don’t take the time and effort to define what that means to us. Outside of saying ‘eh’ a lot, continuously stating the obvious and being unbearably polite, we don’t seem to bother to much with it. Which makes me intrigued by your blog. It’s very interesting and I will check back often. Thank you for sharing your unique perspective! Susanne, thanks and I agree that Canadian culture is a interesting topic, especially from an American viewpoint. As major North American countries we’re connected in many ways but there is a great deal about one another with we’re simply unaware — or at least on this side of the border that seems to be the case. Well, I think you and I must be carbon copies of each other (but in reverse). I’m a Canadian as you can probably tell from my Blog (Vancouver Visions), but I was raised on a travelling Carnival for 13 years that toured Canada and the United States. When I finally settled back in Canada it seemed I was always defending my American friends from the misconceptions of my Canadian friends who really had no first-hand knowledge to back up their views on what the average American was like (too much TV, Hollywood movies, and unfounded propaganda). The simple fact is that I know great people on both sides of this border, and there are plenty of times when I personally would be quite content if that border were to just disappear (though i realize that’s not really feasible). Anyway, I think you’ve got a great idea here, and I’ll be checking you out regularly. And by the way, thanks for popping by my site earlier, it’s much appreciated. When you next update, perhaps you could include me on your page of links: http://purplethoughtstream.com/ Thanks! Thanks for your like and for following me, Brett. And I am curious if you have been to my part of Canada, the Annapolis Valley? And if so, what are your thoughts on it? I moved here from another, more central part of Nova Scotia, a bit over a year now. We love it here. It’s so nice to read about your appreciation of Canada…makes me appreciate it more as well! Thanks so much for your nice comments and keep doing the good things you are doing on your apples & cardomom site. I enjoy your site and topics quite a lot! The real estate on coastal areas near here is amazing! You can score some lovely property with a sweeping ocean view for a great price…much less than other coastal areas in Nova Scotia They have some charming old farmsteads. Thanks for lilking my Newfoundland blog post! Love the theme of your blog. Thanks very much! I hope your travels and explorations continue to be wonderful! What a cool blog. I’m Canadian so I’m biased. 😊 I’m curious to see your point-of-view. I’m sure it’s been mentioned before but we don’t all say “Eh”, and yes we do love our Timmies (Tim Hortons). Cheers. There were some problems with my latest post about Charlottetown, PEI so if you didn’t get it ,it is now available. Hello Brett. Thanks for liking my blog and the fact that it brought me to yours. I have relatives in Ontario, so I guess that makes me part Canadian. When we were traveling through Canada this year we were delighted by the friendliness of the Canadian people and how down to earth they were. I don’t know why I would have expected any other than that, but had not been in Canada for awhile. We loved Jasper National Park, the Canadian side of Niagara Falls, Campobello Island and Roosevelt’s summer home. One thing we noticed was how well kept the Canadian public parks were. It was a real pleasure to visit them. Sharron, it sounds like you had a great trip! Hi Brett, Thanks for your like at my last post! I really enjoyed reading through your blog, it so inspirational!! Hope to keep in touch! Thanks, Gabriela, and keep sharing your wonderful photos! Brett, just discovered your blog. I am going to love ambling through it as I am a Canadian living away from home. Quick question – since I noticed your latest posts are on Nova Scotia have you done any research on the artist Jack Gray? Amazing seascapes etc. Also, in Nova Scotia is the Huston North Gallery. Interesting Inuit history attached to the gallery 😉 Thanks for this blog… wonderful! I salute you, also your post “Snopes.com: Canada’s Connection to Debunking Internet Nonsense”. I might consider that more good stuff from above. I am very glad to meet you Mr. Brett Lockwood from Atlanta. I had the first impression that you were the Canadian. But I see that your love for Canada is almost enough to qualify you as a resident. I will be back and read more on your blog and enjoy the incredible pictures of that beautiful land just to the north of us. I am from South Dakota and had relatives living near Rocky Mountain House, Alberta since 1905. We drove up to Alberta back in 1984 the most friendly people I do believe, every car that passed us there was a hand waving to us in the rear view mirror. They were waving, this wasn’t a hand signal you would find south of the border by many people filled with road rage today. I can see that I will enjoy revisiting your blog, looks like you have a lot of work and heart in it, thank you again. Thank you, visit again, coffee is always on. Well diggers are happy around here, they get down where it is warm! Thank you for commenting on my blog post about celebrating my 60th birthday in Niagara Falls. I have added your blog to my reader. You have been to many places in Canada that I hope to visit some day. Hi, Linda, thanks! There are many gorgeous places in both our countries, including the Niagara Falls area. Brett- thanks very much for liking my post. I hope that the next time (the first time?) you come to Montreal you will stop by the gallery so that I meet you and introduce you to the world of vintage posters … Happy Sunday and thanks again! Hello! How could I even resist when the title says O Canada! Like the chant of my own soul. I too am in love with a country too far away but filled with so many great stories and memories. Really enjoying your “walk” through the provinces! Thanks for your very nice comment. I see you’re now in Malaysia, which is quite different from Canada but likely is full of new discoveries. Yes I am finally back home after years away but still long for Canada, Ontario and Alberta in particular. Yes Malaysia has changed a lot since I have been away and am waiting to explore again! What a great theme to orient your blog focus around! I am from the Pacific Northwest, and I am constantly surprised at the somewhat limited exchange across the border. Located a mere 3 hours from the BC border, many people have never traveled to Canada (or Mexico for that matter!) just out of curiosity. I find Canada to be rich in hospitality, culinary delights, natural beauty and now I see artistic expression! I look forward to exploring more while following along here. Melissa (I think), I’m with you. I’m amazed at how many people in the States haven’t visited Canada. The country and its people have their issues like just about any place but there are some wonderful people and things to be found there as well. Thanks for today’s like. I like being reminded to come and visit your site. Thanks for coming by. I’m a Swedish person, living in Saint John, New Brunswick. At first, I lived for five years in Quebec City. Now I feel that I am where I’m supposed to be. Rebekah, Saint John, N.B. is a beautiful place to be. quite an endeavour – have you had a chance to explore the first nations up here? They are an integral part of what makes us different, and an awful lot of Canadians know very little about their histories, languages, cultures, beliefs, perspectives, etc. Lots of good reading if you’re interested, but it strikes me that your journey is about meeting people and experiencing first hand. my favourite way to explore. I’ve visited some of the First Nations communities on the east and west coasts of Canada and in the States. That part of the history of the Canadian (and America) is both fascinating and tragic. There’s more I want to learn about these peoples, particularly those in the more northerly regions. It’s intriguing to me how people so long ago figured out how to adapt to their demanding environment. On a related note, I read and posted an excerpt from Joseph Boyden’s Orenda on my blog and its tale about some of the first contact between First Nations and European people is riveting. Joseph Boyden’s a great place to start – I suggest “Green Grass Running Water” by Thomas King. There is currently a big resurgence in First Nations in Canada, they are the fastest growing demographic – so, they have endured the worst of it, and have survived to remind us that they’re still here, still relevant, and still full of the best ideas on how to live here. much respect Brett – thanks for dropping in. Thanks for the recommendation of this book. Thank you for liking my blogpost. This is a fantastic blog about Canada: lots of useful information and links. Your photos are amazing. Thanks for visiting and following my blog. I thought your statement of how Americans view Canadians was interesting. This is just how many Canadians feel about Americans. Usually the negative opinions come from people who have never been there or met Americans on their own soil. My husband and I travel to the States every year if we can, and we are always impressed by how friendly and welcoming Americans are. We are also impressed by people’s attitude about their work, however menial it may be. Americans seem to like their jobs and this is something that is sadly lacking in our own country. That’s an interesting set of observations. Thanks for sharing this. The first comment most Canadians make about Americans is that they are loud.There are loud people on both sides of the border, but we really notice a difference in the smiles on American faces in any food service establishment and the sour faces and sometimes rudeness of the Cdns. in the same jobs on our side of the border. I sometimes want to say to an employee – “Do you like your job?” Most of the time our experience in the US has been of very friendly service. I’m tired of hearing my Cdn friends putting Americans down. It’s sheer ignorance on the part of Cdns to judge everyone by one or two Americans they’ve met who really are loud or rude. I’ve met them too, but they are very rare. I have always appreciated the beauty and culture of Canada but only through the eyes of someone else. I hope to make it there someday but until then, I look forward to seeing your perspective. Great blog! Beautiful blog, Brett! (this is the first time I’ve been able to leave an alliterative comment, haha). I appreciate your posts about Canada that I had to follow you here, thanks! Your blog is extraordinary, wonderful, and a delight to visit. I love how you celebrate Canada. I need to visit more often. Thank you. Add me to your long list of Canadadmirers, Brett. I am grateful to live so near the border. Not that I’d ever be allowed to emigrate, but frequent escapes to your refreshing country are…well, refreshing. Sweet, thank you Brett. By the way, I’ve travelled a lot through the States and I’ve always felt welcomed. I love smaller towns and immersing myself into the culture. I have so many fond memories! I happened upon your blog and photos rather by accident while searching for images of a small church in the Annapolis Valley, and I’m so glad I did! I direct a University Chapel Choir, and we will be singing a service at the small, historic church in the small community of Harbourville, on the edge of the Bay of Fundy. Would you consider granting permission for me to use the photo of the pew as part of our promotional material, with credit of course? It is such an evocative photo, and immediately places the viewer in a timeless, sacred space. Thanks for your message and I’m very happy for you to use that image or any of the others. I assume this is for Acadia University’s Chapel Choir, which I’ve not heard but, being very familiar with that University, I’m sure the Chapel Choir is excellent. Your concert in Harbourville, which is a wonderful community on the Bay of Fundy, sounds terrific and I wish you the best with the performance. Many thanks, Brett, for visiting Great War 100 Reads and leading me to your great blog. Always intrigued to discover the out-of-office interests of fellow lawyers. Thanks to you as well. Very interesting subject at your blog. Wonderful concept for a blog! I grew a few miles south of the Peace Bridge in Buffalo, but other than occasional trips to the Canadian side of Niagara Falls, a college field trip to Toronto, and a driving trip to Souris, Manitoba, in the winter of 1979 to witness a total solar eclipse, I haven’t explored Canada much. I hope to remedy that in the coming years. Keep up the good work! Hi, David, thanks for your kind comments. Glad you enjoyed my post. I like your blog and look forward to seeing your future posts. Thanks for stopping by my blog…I’m finally getting my act together to visit some of the blogs on my stacked-up “to see” list. Happy to have found this one even if it did take two months to do it! I was hoping to contact you via e-mail. I’m a public engagement coordinator at the Southern Alberta Art Gallery, and would like to ask you a few questions. If possible, could you send me a quick email? Hi Brett, Just found out about you but will update my new book on U.S./Canada understanding as soon as I can. (Years in the making). Happy to send you a copy, need address. My website is americanada.us, soon to be converted to a blog. (Writing from a different blog). I’m stateside. 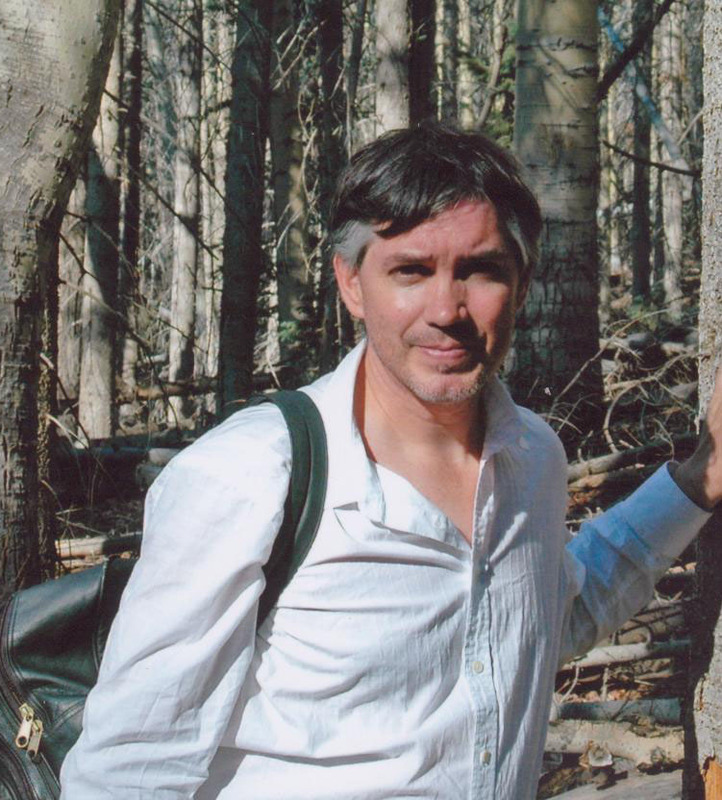 With your interest in Canadian art and culture, you might be interested in “The Many Deaths of Tom Thomson.” As you likely know, Thomson is one of Canada’s best-known landscape painters, and a peer of the painters who formed the Group of Seven. He died under mysterious circumstances in 1917. The book includes the most comprehensive survey to date of first-hand testimony and associated archival records related to Thomson’s demise, and uses this information to assess the century of speculation regarding Thomson’s cause of death and the disposition of his remains. Thanks for finding our site and liking our post. We think you have an incredible blog and you are sharing so much information. We’re in Minnesota so our Canadian neighbors are really close. Keep up the great work! Brett, many thanks for adding my Canada150 blog to your links! Most appreciated!! Hi Brett, Thank you so much for “liking” my dyspeptic Canada Day ode! And I’m thrilled to discover your blog. In case you hadn’t noticed, Canadians are riveted by what Americans say about us and our country, if they say anything at all, that is! In fact after seeing so many American friends discussing Canada on this page I began to hyperventilate and had to be calmed with several cups of Red Rose tea and a butter tart. OK, two butter tarts. Hi, David, you packed a lot into your ode (as you appear to do with all your posts)! Keep the irreverence coming — good stuff! Thanks for your comments. In light of recent events down here in the U.S. (you guys may want to build a wall for your own good), the goodness that is distinctly Canadian is having a well-deserved moment. How right you are – there’s really SO little said and known about Canada, especially down here in California. Through blogging I’ve gotten to know, and see, some more of the country, and each time I’m more and more impressed. What is it with the U.S. and the complete ignorance of Canadian culture? I just don’t get it. When I moved here, I realized Americans know less about their immediate neighbor country than I know about countries on the other side of the world. Visiting Canada is now on my bucket list! I grew up in the small community where you photographed the St. Croix Cove Baptist church. I was surprised and delighted to see photos of the church I grew up in. We, the community, are putting together a Go Fund Me page to raise funds for a new roof, paint, windows etc… Is it OK with you that we use some of your photos of the church on the funding page? If yes, we can add a water mark with your name to give you credit. Thank-you for visiting and taking such lovely photos for everyone to see. Thanks for your message. Please feel free to use whatever photos of mine that you’d like for your fundraising campaign. Also please let me know of the Go Fund Me page as I’d be happy to donate as well to the restoration of this beautiful gem of a church. I started blogging in 2012, so it seems grand to continue to meet new people. Thank you for stopping by and I also notice your liking posts. I’m composing an award nomination post (Liebster Award on 6-16-17) for new blogging friends. Hope you don’t mind being on the list. No obligations in posting about this, just may get a few visitors, which is always nice to expand readers, too. Thanks for your message and kind words. I can’t recall how I stumbled upon your site but, having done so, I’ve enjoyed reading your observations and seeing your photos. So count me as a happy follower. Keep being you! About Canada, agreed, Brett from a fellow Georgian. Pleasure to find your blog. Thanks for stopping by. Looking forward to reading your informative blog. Cheers ! Thanks for checking out my posts, Brett.They mostly pertain to my recently published book. As well as finding my father, I also found my mother, but not until after she died—daughter of a family of Ukrainian homesteaders to Alberta. At a 2009 family reunion I met 50 cousins. Saw some of them again in March just before my Seattle book launch. Took the Vancouver ferry, several have moved to Vancouver/Victoria. Improved climate and culture I suppose. I hope to visit them again. Canada is enchanting. Happy travels. I have a feeling I’ll pay your blog a visit frequently. Did you happen to be at the Moncton Farmer’s Market this past Saturday (July 29)? I would like to have been, but wasn’t. Disregard my inquiry about your whereabouts. Atlanta may be the reason you expressed interest in Coca-Cola. Thank you for sharing your great photos and insights about Canada and a great many other things. Thanks for raising awareness of Canadian culture in your blog! Also thanks for having a look at my humble blog ‘klopp-family.com’. As an immigrant from Germany of more than 50 years ago, I also learned to appreciate Canada’s values and cultural diversity. Hi, Peter, thanks! And keep writing your wonderful blog, which I’ve enjoyed checking in with! I would like to personally congratulate you as your blog O’ Canada has been selected by our panelist as one of the Top 75 Canadian Music Blogs on the web. I personally give you a high-five and want to thank you for your contribution to this world. This is the most comprehensive list of Top 75 Canadian Music Blogs on the internet and I’m honored to have you as part of this! Hi, Anuj, thanks! I like Canadian music (and music generally) a great deal. Best of luck with Feedspot. Hello there. I wanted to thank you for consistently checking out my StruckByWanderlustBlog.wordpress.com. It is very much appreciated ! Good stuff! I’ll be back. Always wanted to go to Canada. Hi Brett! Thanks for liking my blog. I really love your photography! Best wishes! Thanks for visiting my blog and liking my posts…. Brett, You have a great blog !!! I posted a portrait of you on my blog. Michael, awesome! Thanks for this likeness — very cool! I appreciate how much you love Canada! I have so many American friends who know absolutely nothing about my country but expect me to know all about theirs. Over the years I have grown to love where I live so much and am glad you have too! Great blog, Brett! What do you enjoy most about Canada? What would you say is a good first place to go to connect with people and culture? Hi, Dylan, thanks! There are really so many wonderful places in the country to go to connect with people and culture. So I think it depends on one’s main interests and then going from there while being open to allowing serendipity to work its magic. My blog tries to illuminate some of those possibilities, but, of course, only scratches the surface. Congrats on your walk between Seattle to the Canadian border, by the way, which I just reminded myself of when I looked back at your post about this. Nice way to help with a cause and make very human connections along the way. I hope you keep doing amazing things — be they large or small, it all counts. Last year I experienced the Canadian Rockies for the first time and found them more impressive than their American counterpart. In contrast, the Alberta badlands weren’t as exciting as our Badlands National Park. On the other hand, the Royal Tyrrell Museum in Drumheller has no rival in the Dakotas. In short, both countries have great things to see. It’s good of you to show Americans more of what’s north of the border. Thanks for sharing these wonderful comparisons. So very much here, to appreciate, Thanks for the many trips home that I shall find here! Thank you for Liking our blog. Because of that, we discovered your blog. Never been to Canada before ,your blog inspires the idea of visiting it.Great! Love that you share that here. Thanks for your nice and kind words! Keep doing the good things you are doing on your blog and in your own practice. Those are meaningful things. I’ve only been to Canada once or twice but during both visits, I admired their culture as well! I’m from the USA but traveling the world for now. I wouldn’t mind making a trip back to Canada sometime soon! Nice to meet you!! Great about page!